рабочее давление макс. 10 бар. давление предварительной зарядки 1.9 бар. 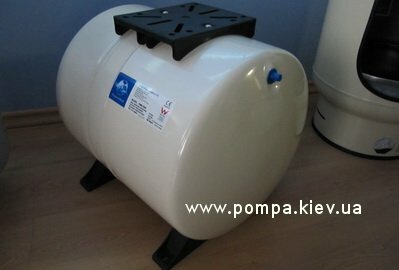 Другие товары производителя "Global Water Solutions Ltd" в категории "Гидроаккумуляторы"
Global Water Solutions Ltd Pressure Wave PWB 2LX Global Water Solutions Ltd 983 грн. Global Water Solutions Ltd Pressure Wave PWB 8LX Global Water Solutions Ltd 1210 грн. Global Water Solutions Ltd Pressure Wave PWB 18LX Global Water Solutions Ltd 1483 грн. Global Water Solutions Ltd Pressure Wave PWB 24 LH Global Water Solutions Ltd 1785 грн. Global Water Solutions Ltd Pressure Wave PWB 80 V Global Water Solutions Ltd 6203 грн. Global Water Solutions Ltd Pressure Wave PWB 100 V Global Water Solutions Ltd 6960 грн. Global Water Solutions Ltd Pressure Wave PWB 100 H Global Water Solutions Ltd 7262 грн. Global Water Solutions Ltd Pressure Wave PWB 130 LV Global Water Solutions Ltd 7868 грн. Global Water Solutions Ltd Pressure Wave PWB 150 V Global Water Solutions Ltd 10289 грн. Global Water Solutions Ltd C2-Lite CAD C2B-60 Global Water Solutions Ltd 7111 грн. Global Water Solutions Ltd C2-Lite CAD C2B-100 Global Water Solutions Ltd 12498 грн. Global Water Solutions Ltd C2-Lite CAD C2B-200 Global Water Solutions Ltd 18913 грн. Global Water Solutions Ltd C2-Lite CAD C2B-300 Global Water Solutions Ltd 22423 грн.